This simple phrase permeates life in more ways than one, in the sport of slacklining it can be taken literally, however in the world of outdoor and extreme sports it can mean so much more. Women all over the world are constantly striving to find this balance in their lives, be it in a political sense or in the terms of gender roles. We are different than men, but no less equal, and sometimes it seems the best way to bring balance to something like outdoor sports is to support women separately and create an event just for girls. Tilting the scale is a slow process, and a woman in the world of outdoor and/or extreme sports knows that to practice these activities means being a minority in the gender department. 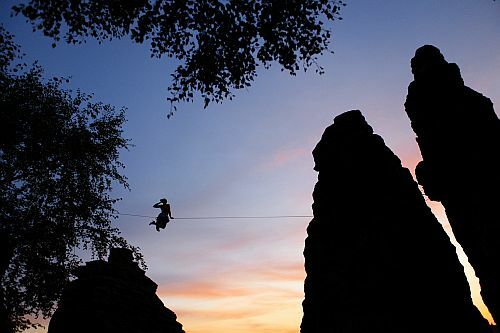 There is no lack of interest from women, however the media seems to constantly portray climbers and other extreme sports athletes as masculine, and highlining in particular fits right in with that symbolism. It is no secret that there are more men than women in these particular activities, but no one seems to know why. As the organizer of the GOSF and one of the few females in the sport of highlining, this question nags at me frequently. I search all aspects of life for the answers, and I constantly come back to pop culture, it's portrayal of women and what is considered feminine, and the harsh reality that we only starting voting legally a century ago. I think many girls underestimate what they are capable of, and what I really hope to accomplish by starting the wave of Girls Only Festivals is that if anything, these girls will dare dream, dare to push themselves, and dare to try something that might appear to be a "man's sport." In my experience of highlining and climbing, girls have a different energy than boys, and if anything creating a place for girls to be the center of attention, to have as much time on a line as they like and to share the experience with each other, I hoped to create a special atmosphere and a way for girls around the world to see what other women are up to! I organized the first GOSF after several female highliners expressed feeling intimidated by the amount of boys in the sport, their high level energy at the lines and the loud atmosphere they often encountered. I felt like it was a great opportunity to make an event just for the ladies! Not only to give them all the time on the slacklines and highlines they needed, but also to connect girls with each other, promote our gender in the sport, and share knowledge and experience with one another. 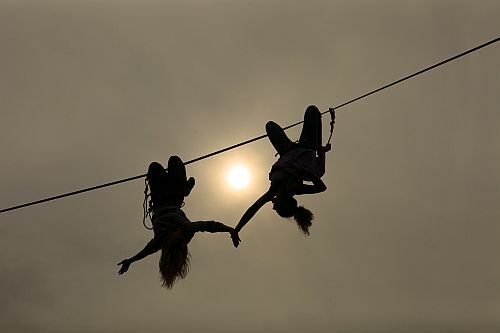 I had hoped girls around the world might pick up the idea and create their own versions of the event, so on each continent could be a meeting such as this one, and this year there is an All Girls Slackline Festival being held in the USA. There should be no misconception, the idea is not to separate women and men, only to balance the scales and I think creating an event just for women is a step in this direction. Eventually there will not be a need for the "Girls Only" title because there will be enough females to represent themselves equally. I think girls AND boys can cheer for that. 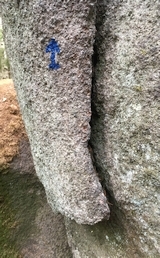 I chose Czech Republic for the location based on the fact that it was the center point between the European countries with the most slackliners and highliners. The location is also a magical forest of sandstone towers, with quite easy access and the added bonus of great Czech food and beer. The focus of the festival is highlining, which is the most difficult level of the sport and the hardest to gain access to because of the intensity of rigging and climbing knowledge. The first year there was only 6 girls who attended, however there appeared to be good progress as the second year of the festival brought 20 girls representing 8 different countries. 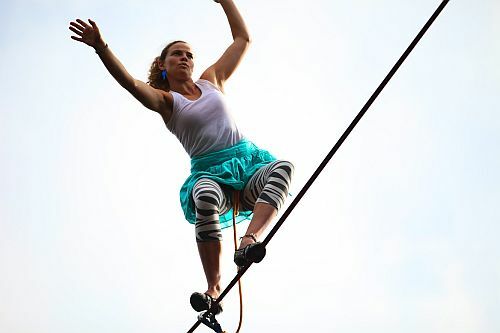 Now we are on the verge of the 4th annual Girls Only Slackline Festival, and I am excited to see new and old friends! Overall, I am excited to see the progress of females in all aspects of life, especially outdoor sports such as highlining, and I hope girls everywhere can strive and push themselves in whatever they choose to do, because we are strong, and nothing should stop us.